P&G competes in an era of rapid and constant change. Their markets, their organization—even their visual identity—evolved this year. To be fully ready to win in the future, P&G’s competitive advantages must be absolutely clear. Their 2018 Annual Report needed to bring clarity to a crucial strategy while expressing bold confidence in their success. We regularly use sketches to promote collaboration and discussion of ideas. They also help us process through, build upon and find connections between multiple ideas quickly. 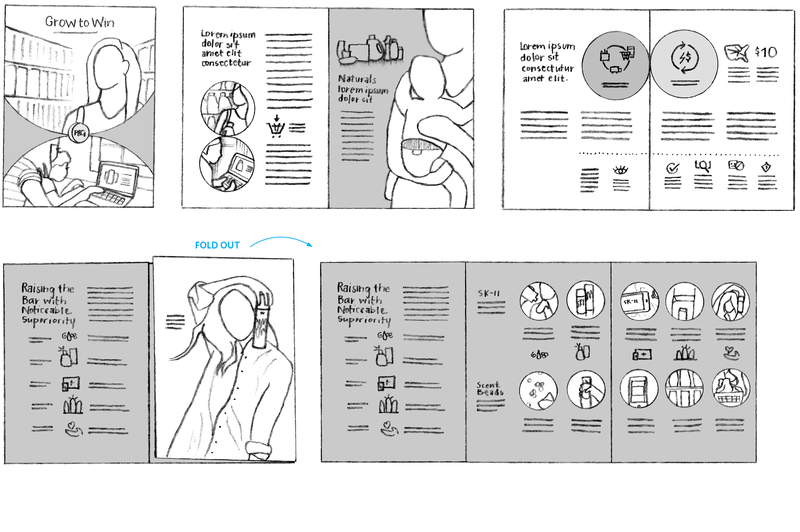 We sketched concepts to explore possible solutions and explain our vision for the book. We designed this year’s report for focused impact. 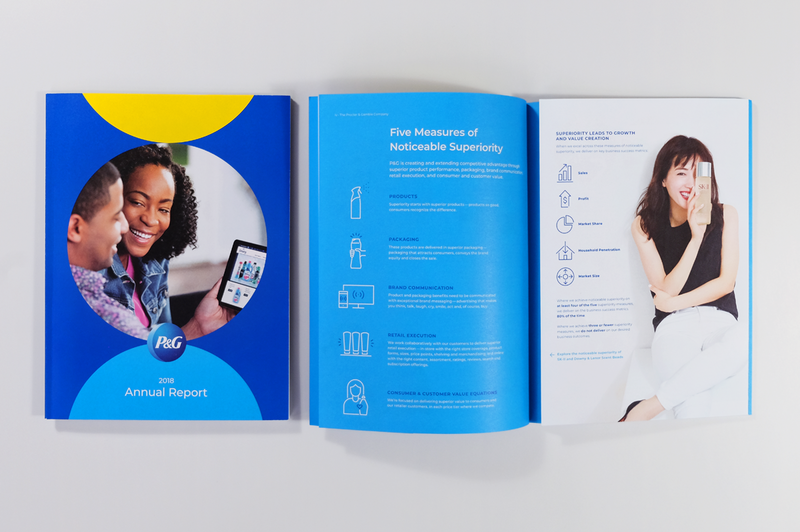 Simple and bold layouts combine with larger images and infographics to clearly and vividly explain P&G’s strategic message. Touches of bright color echo the company’s optimistic outlook and photos of modern life reveal P&G’s knowledge of today’s consumer needs. We advocate any solution that brings our clients closer to their audience. P&G wanted investors to have easy access to annual report information at any time. We partnered with the website specialists at Primax Studio to develop a mobile-first microsite. 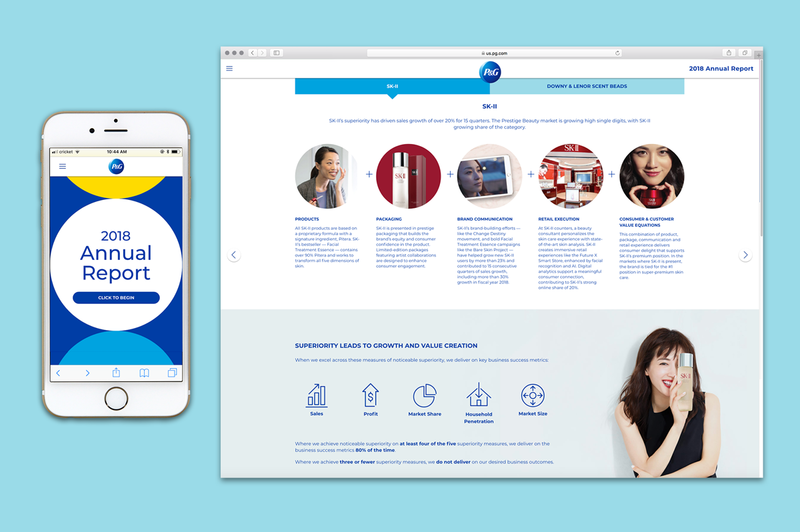 The annual report needed to be released and available through multiple channels to reach P&G’s global and varied audience. 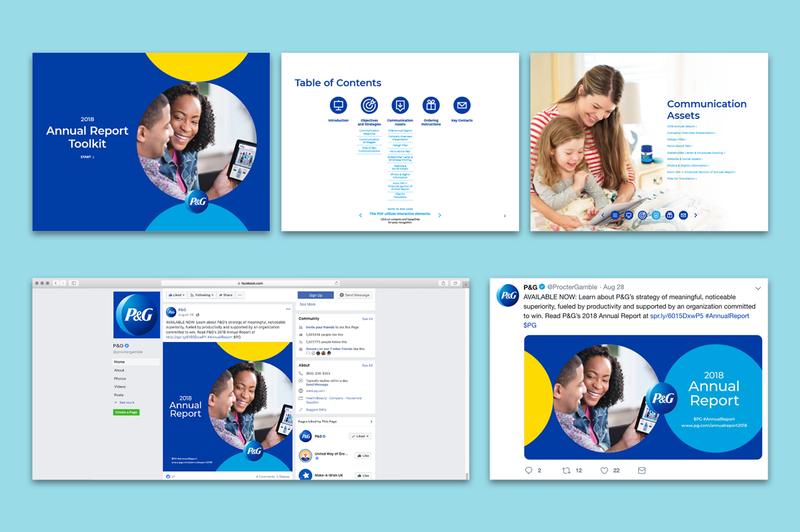 We created a consistent visual system that could flex to work on all of P&G’s digital and social outlets.